As you may know, the JoJo directors took part in a dash around the country to visit all our stores as part of our 20th birthday celebrations last week. The JoJo store teams were encouraged to go all out and really embrace the special occasion – and they didn’t disappoint. 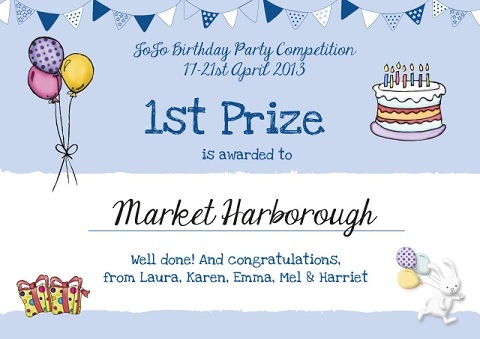 After much consideration – and input from judges at the London and Newport offices – the directors came to a unanimous decision: the overall winner of the Most Beautiful JoJo Store was Market Harborough in Leicestershire. Although there was much deliberation, the judges agreed that it was Market Harborough’s innovative little touches that earned them the coveted first place. Over the 20th birthday week, the store played brilliant host to our lovely customers, providing plenty of fun and games for everybody. 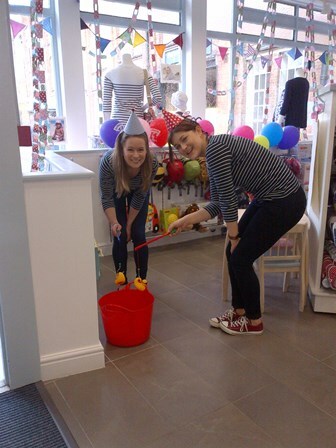 There was a hook-a-duck competition, bingo, treasure hunts, high tea and plenty of smiles from the team and customers alike – even the babies were giggling! 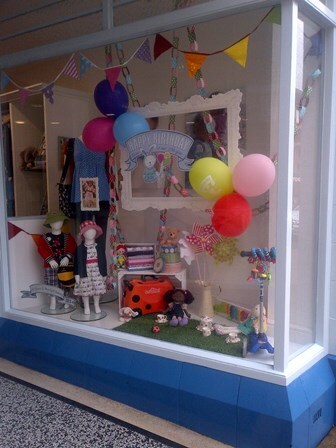 The judges were really impressed by the stunning store which was looking fabulously festive for the occasion. Facebook comments from our customers were also taken into account, and lots of you had wonderful things to say about many of our stores which we really appreciate. Market Harborough customers agreed that the store is fantastically laid out and the team love hearing about your proud mummy stories. You can find all the kind words about our stores on our Facebook page. 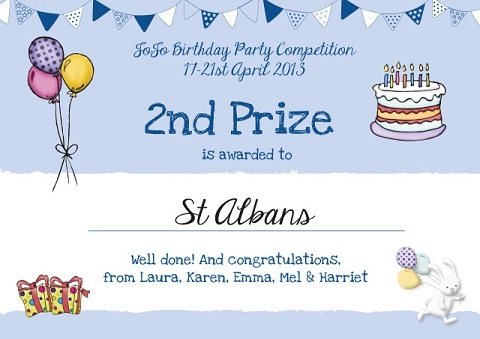 The competition for the runners up was even tougher – many of the stores went the extra mile and so many of you had a fantastic time during the event. 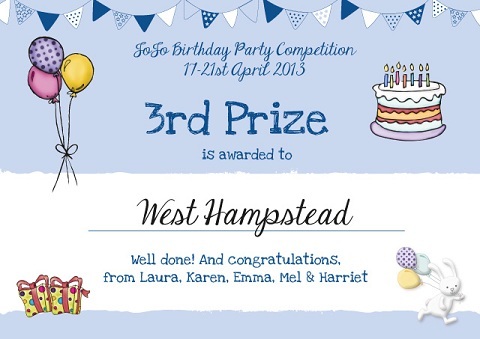 However, after a lot of consideration, the judges decided to award second and third place to St Albans and West Hampstead respectively. The birthday event alongside the gorgeous weather (for most of us, anyway!) was great fun for everyone involved. 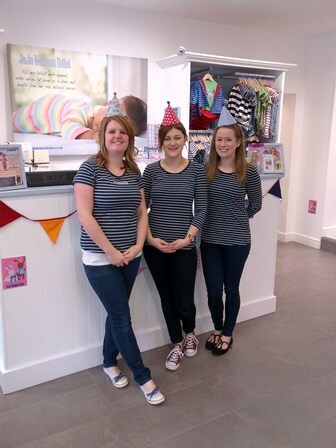 Did any of our readers make it down to one of our stores for the festivities? ← What is a Maternity Services Liaison Committee (MSLC)?